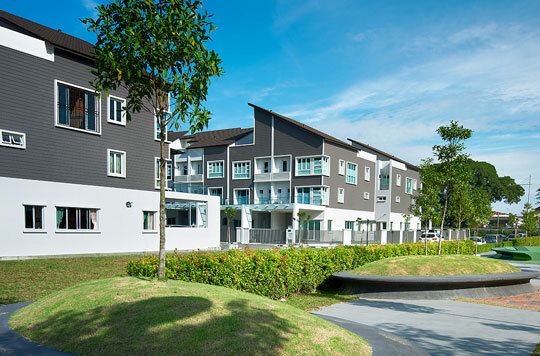 Through the stellar showcase of most of Penang's properties since the 1950s, BSG Property has contributed to the continuous growth and development of Penang. Following the footsteps of our founder, we are a socially responsible developer that has played a prominent role in the growth of Penang Island and Seberang Perai. We have created a strong presence in Penang and are currently expanding across borders and establishing our building capacity. Inspired by our corporate enduring vision and mission, we constantly aim for quality, affordability, timely delivery, and keeping pace with Penang's development and lifestyle progress. Hence, in Penang today we have hosted many varieties of properties that stand as our very own testimonial of success. We strive to continue expanding, reaching out to more people, locally and across borders, in improving lives and communities. BSG Property is synergistic with your needs and lifestyles. Understanding the progress and pace of life, we are constantly progressing and transforming in providing you with innovation and progressive designs that fit your lifestyle. On top of our quality affordable homes, you are now open to a whole new range of mid-to-high range of innovative homes to select from. BSG Property moves forward with you in providing you the means to upgrade your life. We strive to provide you more opportunity in finding yourself a suitable, comfortable home that fits your lifestyle.